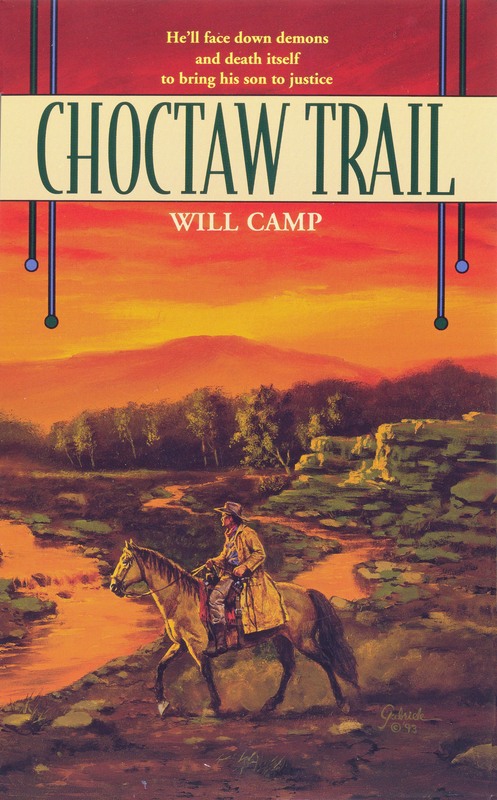 Westerns encompass a genre of literature original to America and covering the western expansion of the United States. 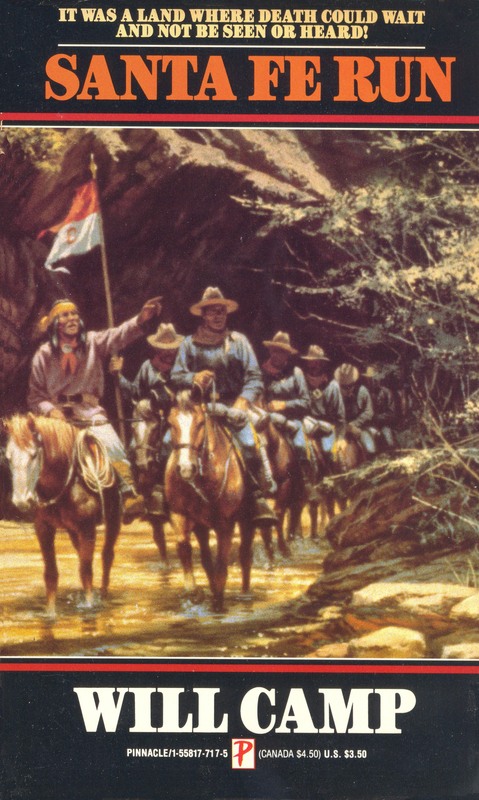 The origins of western fiction go all the way back to James Fenimore Cooper’s Leatherstocking Tales, including The Last of the Mohicans, published in 1826 and set in 1757 during the French and Indian War. Dime Novels appeared in the 1860s with highly sensationalized tales of western adventures. 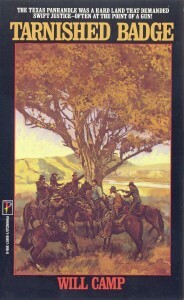 The publication of The Virginian by Owen Wister in 1902 is generally considered the beginning of what is today identified as the Traditional Western, featuring a strong, silent hero facing and overcoming great odds, often by himself, and generally set in the three decades after the American Civil War. 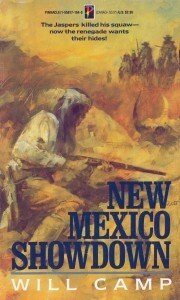 The Traditional Western got a boost from Zane Grey in such books as Riders of the Purple Sage, which helped open the trail for such writers as Max Brand, Louis L’Amour, Nelson Nye, Jack Schaefer, Elmer Kelton and many others. 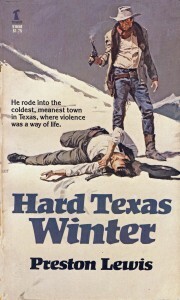 Hard Texas Winter, a Traditional Western, was Preston Lewis’s first book. 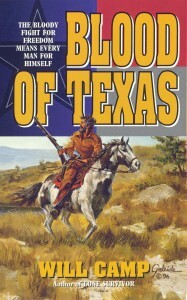 Subsequently, he wrote Traditional Westerns under his “Will Camp” pseudonym, though there is often a blurring of the lines between a Traditional Western and a historical novel in books such as his Spur-winning Blood of Texas. Blood of Texas: Rubio Portillo is faced with a choice between his Mexican heritage and what he believes is right. 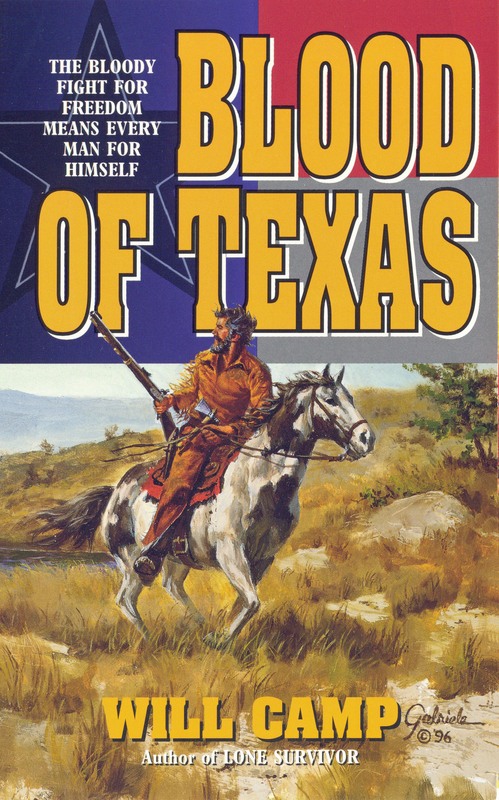 He chooses right and joins the 1835 Texas Revolution for freedom from Mexico. His decision costs him not only his friends but also his betrothed. 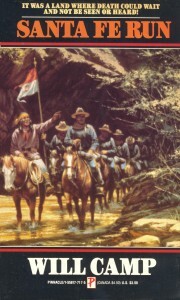 Leaving the Alamo to seek reinforcements, Portillo ultimately joins Houston’s army in the battle for freedom and fights for liberty with white men who doubt his loyalty and his own Texas birthright. Even when Texas Independence is secured, Portillo understands that rebuilding his life will take as much courage, dedication and strength as it did to join the rebellion to begin with. In the end, Portillo will write his own name on the honor roll of Republic of Texas heroes. 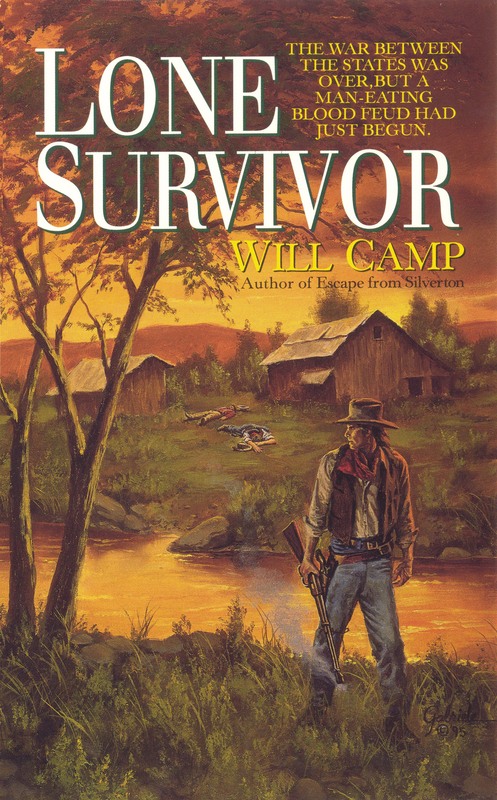 Lone Survivor: After fifty years in prison for his part in the Barton-Trimble feud in post-Civil War West Texas, Clements Barton has a terrible secret he must get off his chest to a turn-of-the-century reporter. Known in his youth as the Palo Pinto Kid, Barton recounts his story of how the feud began and grew more savage each day. The feud started with a practical joke and ballooned into a vendetta that took the lives of many men and cost Barton the love of his life as well as fifty years of his life. As Barton recounts his role in the terrible tragedy, he opens old wounds and reveals untold secrets. By the time he is done, Barton has revealed the awful truths behind the Barton-Trimble feud. 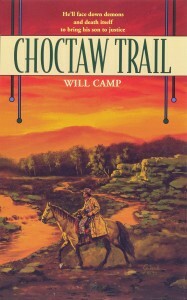 Choctaw Trail: Retired U.S. 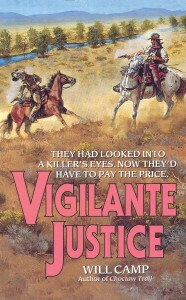 Marshal Doyle Hardy is called back into service to track down the culprit in a brutal double murder in Indian Territory. The no-nonsense lawman working out of Fort Smith, Arkansas, returns to the trail to track down the murderer, who he doesn’t want to admit is his own son. Though his son will earn an appointment with the hangman if Hardy captures him, the old lawman is dedicated to enforcing the law, even when the culprit is his own flesh and blood. The trail through Indian Territory offers nothing but danger as Hardy must fight off outlaws hoping to settle old scores with him. Ultimately, Hardy must confront his own son and hard family truths that he had tried to avoid in all his years as a lawman. Vigilante Justice: Facing a prolonged drought and vindictive neighbor Lemuel Blunt, Hugh Hampton must fight the elements and his neighbor to keep his small West Texas ranch. Both the weather and the law, as it turns out, are beyond Hampton’s control as Blunt has the sheriff in his pocket. What is a man supposed to do when the law is perverted and there’s nowhere to turn? Hampton must turn to vigilante justice if he and his dreams are to survive. Ultimately, Hampton must face the threat of the gun and the double standard of frontier Texas justice. Only a sharp lawyer and a bit of luck can help Hampton avoid the noose for a killing he committed and another he didn’t. 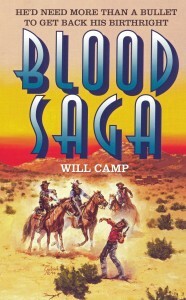 Blood Saga: When Virgil Child returns to New Mexico Territory with his mother’s coffin to bury her beside his father, he discovers his father’s grave has been obliterated. This desecration forces Child to confront the trio who murdered him two decades earlier and stole Child’s birthright. The only possession remaining of Child’s father is a handkerchief stained with the elder Child’s blood and the names of his killers written on the cloth in his mother’s hand. Outnumbered and outgunned, Child must use his wits and his belief that right will indeed triumph to battle the thieving killers who deprived him of his father and the land that had once belonged to his family. The Child saga is written in blood. The only question is whether Virgil’s own blood will fall on New Mexico soil. 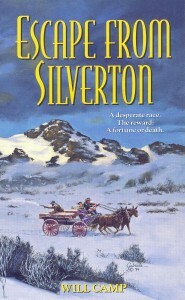 Escape from Silverton: When Blake Corley’s luck turned colder than a Colorado winter, he knew he must leave Silverton to survive, even if it was the dead of winter. Agreeing to freight the coffins of two dead payroll guards killed in a robbery back to Durango, Corley takes with him a prostitute named Penny and a black laborer named Moses. What they don’t know is they are carrying more than just bodies—the actual haul from the fatal robbery. If Blake is to survive, he and his passengers must survive the frigid weather and outwit the robbers who take out after them to recover their ill-gotten gains. 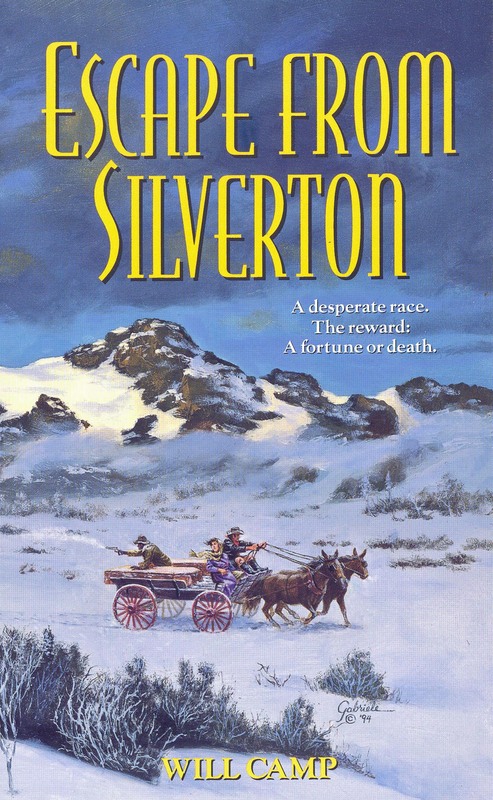 The race from Silverton to safety in Durango will require Blake’s wits and bravery as well as all the bullets he can find. New Mexico Showdown: When the Bastrop gang kills his squaw, renegade Apache Sulky vows revenge and pursues the bad men as they murder and plunder their way across New Mexico Territory. The law compels Marshal Bill Whitman to chase the outlaws as well. Friends long ago, Sulky had led death to Whitman’s door not many years back and the wounds from that encounter are still tender. Both men must put aside their differences to kill the Bastrop gang without hurting the dim-witted boy the outlaws forced to ride with them. In fighting a greater evil, both Whitman and Sulky must come to terms with their past. In the end only one will survive this New Mexico showdown. Tarnished Badge: Like all ranchers in the Texas Panhandle, Ty Stoddard is plagued by rustlers until he and some of his neighbors track one down and hang him. Then Stoddard is plagued by his conscience, especially when word gets out the dead man may have been innocent. With his brother-in-law as sheriff, Stoddard believes he can get to the bottom of the ongoing rustling, but the deeper he digs the more he comes to believe the sheriff is actually behind all the livestock thievery. 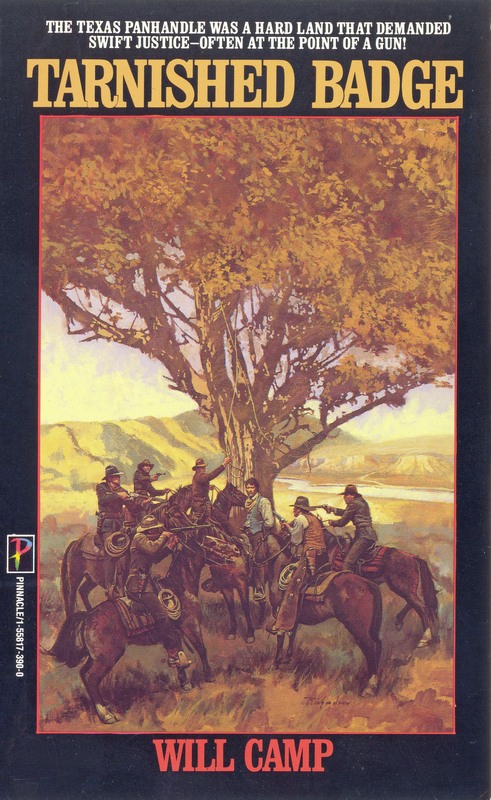 Honest men, including Ty’s own father, die as the desperate rustlers try to cover their tracks. In the end, Stoddard must choose between honesty and family if genuine law is to come to the Panhandle. 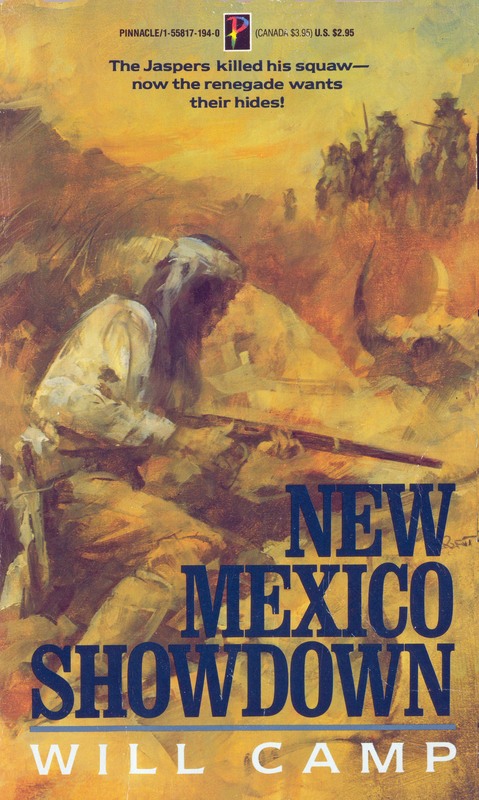 Santa Fe Run: Morgan Garrett’s western sojourn continues in New Mexico Territory when he takes a clerk’s job at the sutler’s store a Fort Bansom, a U.S. Cavalry outpost manned by buffalo soldiers and commanded by a crooked colonel. Before long on the job, Garrett figures out the commander is looking the other way and pocketing kickbacks from the sutler’s manipulation of government contracts. When he realizes the colonel sees him as a threat, Garrett must make a run to Santa Fe to alert the territorial authorities. In a race against death, Garrett must outride both the cavalry on his tail and a band of Apaches led by the fierce warrior Pachise. If he wins the race, he will benefit the treatment of the Apaches chasing him. If he loses, the Apaches will take his scalp. Hard Texas Winter: In the aftermath of the Civil War, Morgan Garrett heads west in search of work and a new start. Neither comes easy for the man burdened with a lame arm as a constant reminder of the lost war. 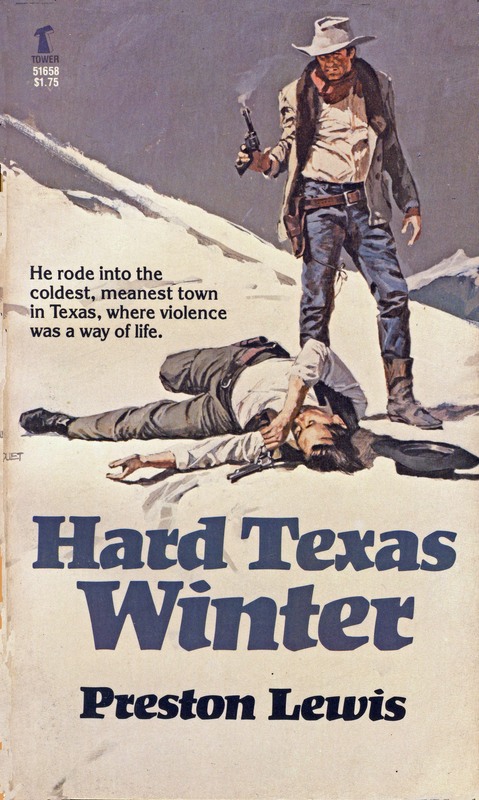 With winter approaching, he finds both work and trouble in Crossrock, Texas, a small town dying under the boot heel of hardcase Brad Decker. When he fights back against the Decker’s cold dealings, Garrett finds himself headed for a showdown with only a single ally, Big Bill Murphy, a former Union soldier. Now men who once fought against each other are forced to stand together against a powerful gang. Not all will survive the cruelest winter in the town’s history.